It’s Fig Season in Turkey! As you walk down almost any street in Istanbul, save for the main arteries, there’s a distinct perfume of late summer afternoons. The figs have arrived and so has their sweet, heady aroma. Though dried figs are available all year round in Istanbul, there’s nothing like biting into a fresh one, as its perfume hits the back of the throat, and the crunchy seeds heighten the pleasure derived from its sweet chewiness. Not surprisingly, Turkey is the number one country in both fresh and dried fig production, holding more than twenty percent of the world’s total fig output, and over half of the whole dried fig output. About thirty percent of fresh figs produced in Turkey are consumed within the country, while seventy percent of dried figs are exported, mainly to Europe. 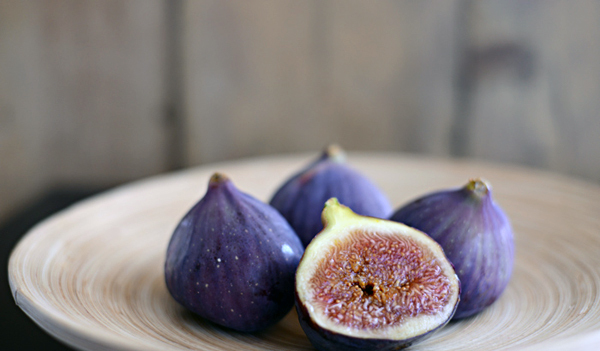 The fig variety most commonly found in Turkey is aptly called ‘Brown Turkey’ with purple skin and red flesh. Though not the most calorie conscious of fruits, figs are nevertheless incredible sources of potassium, calcium, vitamins E and B, as well as dietary fiber. Eaten fresh or dry, they provide energy, strengthen the immune system and greatly aid the digestive system. Turkish cuisine has traditionally made good use of the sweet and crunchy qualities of the fig. Ottoman dishes have seen the use of figs to heighten the effect of meat dishes, lamb’s meat’s fatty aroma works very well with the flavor of figs, while many desserts also see fig used as a main ingredient. Among them, the most famous is incir tatlısı (fig dessert), whereby dried figs are cooked and filed with kaymak (Turkish clotted cream) and walnuts. Fig jam is also a popular item at Turkish breakfast tables. Both fresh and dried figs go very well with ewe’s milk cheeses, try İzmir tulum peyniri (a kind of hard ewe’s milk cheese from the city of İzmir on the Aegean coast) with fig jam to titillate your taste buds. This entry was posted in Food & Drink, Istanbul, Turkey and tagged fig, figs, Istanbul, Turkey, turkey tours by yalla2013. Bookmark the permalink.